For many Americans, IRAs, or individual retirement accounts, are a popular way to start saving up for retirement while working. In a nutshell, an ordinary IRA is one that you invest in over time, and value of your IRA is managed by a financial expert. Although this can be a beneficial start to estate planning, traditional IRAs that operate domestically have some disadvantages. Retirees eager to take a hands-on approach to their future may opt to establish a self-directed IRA or even a self-directed IRA LLC. Determine the difference between the two, break both down and learn more about whether they could be the right fit for your future. A typical IRA is managed exclusively by someone you may never meet or even talk to in person. Although you have worked hard to save up for the financial contributions you put into your IRA every year, you might have almost no control over how that money is invested or what kinds of risks are taken by your IRA's trustee or financial manager. For those who want to take back control over their financial future, an SDIRA, or self-directed IRA, can be ideal. This acts much like a traditional IRA, except you get to pick your custodian who manages your retirement assets. That custodian will handle the paperwork, the filing, the taxes and the actual legwork when it comes to investing, but you can call the shots behind the scenes if you wish. An SDIRA/LLC takes it one step further by eliminating the custodian altogether. Assets are moved from the IRA into a newly established LLC. Then, your SDIRA will buy the LLC and start managing it as any other company. However, your retirement assets are firmly ensconced within the LLC, meaning that success and failure of the company will directly affect your financial strength during retirement. Having outright control over your LLC will give you absolute freedom to make the financial decisions and alternate investments you want. To help you gain a better understanding of both types of IRAs, use this quick guide to get familiar with each of their elements. Without a self-directed IRA and the freedom and security of an LLC, you have to rely entirely on someone else to manage your wealth. Although some individuals feel comfortable not knowing how their assets are performing or what risks are being taken, many others want to take back control over the funds that will eventually provide for them in retirement. An LLC in an offshore destination like Belize may also allow you to legally pay fewer taxes, undergo less government intervention and operate with a greater degree of freedom. You can also choose from an array of international alternative investments, many of which can result in greater profit margins and potential in the years to come. At first glance, opening up an SDIRA or an SDIRA/LLC in an offshore location can seem confusing. 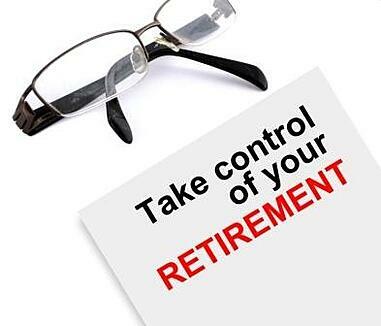 In reality, however, it is a simple step that can give you back control over your retirement planning.